Losing My Head Upon Request? Answer: Yes, it’s mandatory. 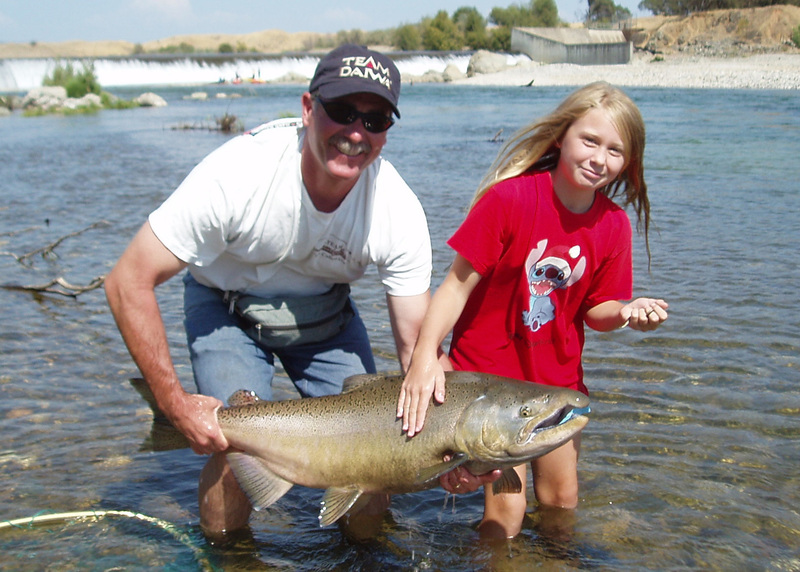 The surveyors at the dock collecting heads are not volunteers but are paid, trained and educated biologists, and anglers in possession of a salmon with a clipped adipose fin are required to relinquish the head to these Department of Fish and Game (DFG) employees (Fish and Game Code, section 8226). Answer: Yes, there are numerous researchers both in and outside of California that capture and mark birds. According to Department of Fish and Game (DFG) Raptor Biologist Carie Battistone, identification bands should be reported to the Bird Banding Lab (BBL) (www.pwrc.usgs.gov/bbl/), administered by USGS. If someone sees a marked bird, such as this red-shouldered hawk, they can report it by accessing BBL’s website and clicking the “Report a Bird Band or Marked Bird” link. This national program allows researchers to study bird movement (dispersal and migration patterns), survival, population trends and more. Many bands are reported when a bird is recaptured or dies. Reading the band number can be hard, but not impossible, on live birds. In addition to silver bands, researchers also use color bands which tend to be much easier to identify and report. Can crayfish be taken in otherwise closed zones? Answer: No, you cannot use crayfish traps there. According to DFG Lt. Sam Castillo, in this particular area the law says, “Closed to all fishing all year” (California Code of Regulations Title 14, section 7.50(b)(68)(A)). The law is inclusive of all species and is not specific to just trout and salmon. Some other no-fishing areas will allow for the take of amphibians, fresh water clams, crayfish and lampreys under CCR Title 14, section 7.50(a)(2), but this isn’t one of them. Answer: In general, you may not possess a loaded, concealed handgun when in a public place. There is an exception for licensed anglers and hunters, who are allowed to carry a concealed firearm on their person when engaged in hunting or fishing (see Penal Code, section 25640). The exemption also allows the carry of an unloaded concealable firearm when going to or returning from a hunting or fishing expedition. A summary of firearms laws is available online at http://dfg.ca.gov/enforcement/ under Helpful Information on the right margin.